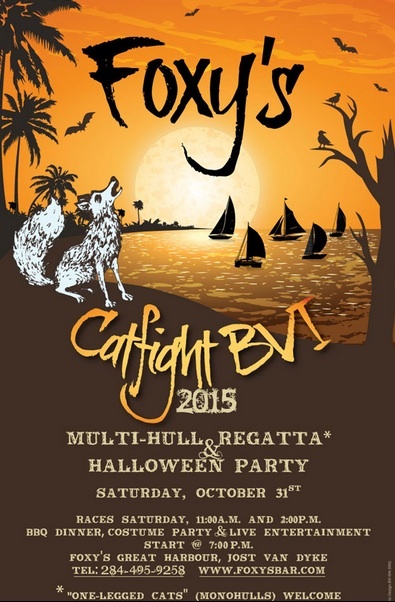 What better way to spend Halloween than in the beautiful BVI on a catamaran, while attending the Catfight BVI Multi-hull Regatta and Halloween Party at the famous Foxy’s! One legged cats (monohulls) are also welcome to join in the race. Save the date and have the most memorable halloween you have ever experienced! What is your fancy dress to be, a cute pumpkin or spooky dracula?